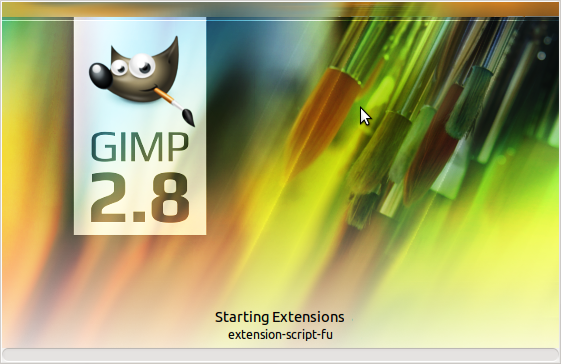 Gimp 2.8 has been released a few weeks after the major major Ubuntu 12.04 LTS update. Unfortunately, because Gimp 2.8 has some nice improvements. Luckily it’s quite easy to install Gimp 2.8 manually with adding a PPA and do an update. There is no need to compile it manually. The latest update of this PPA also offer new newly compiled plug-ins for Gimp 2.8, which is quite an improvement, because I could install Gimp 2.8 today to over 2.6 without a hassle. Some sites tell you that you need to uninstall anything before or that you will running into problem, An that was true, until a few days. It worked for me with no problem for with Gimp 2.6 install. Well, it’s more then a screenshot because it renders the whole page not only what’s visible in the viewport of your browser. Something like the Shutter can do as well. It did hang though on some sites with flash content. Other changes include that saving is now only impossible as xcf file, the native Gimp file format. Other formats, like jpeg, or pgn is now called exporting, This isn’t a regression only you need different menu item, and there is a shortcut `export to` for fast exporting. XCF files are big uncompressed files, saving it as a xcfbz or xcfgz cab save a lot of MB’s but somehow that option is missing from the new 2.8 install. Luckily it’s not so difficult to get it back, just install the file-compressor plug-in manually., by taking it from an older gimp build. UPDATE: with the latest ppa update the file-compressor is installed automatically. Gimp does support the global menu for Gnome 3 or Unity, in short this saves worthy space on your screen, but because Gimp uses several floating windows for layers, and the toolbox this isn’t working well, because the toolbox doesn’t have a menu, and the main menu doesn’t show when the toolbox window is selected. Also that can be cured easily, just enable the window menu again in the picture window. and drag the gimp.desktop file from the ~/home/.local/share/applications folder to your launcher. That will create a new launcher that will start Gimp with a menu in the image window. So you can use that menu, and the global menu. The gimp.svg icon is missing in /usr/share/icons/hicolor/scalable/apps . and rename and copy it to the usr/share/icons/hicolor/scalable/apps folder. You need root access for that. Somehow the dash is not showing Gimp, anymore but it’s offering it for download. CLicking it will open Ubuntu Store, and that will tell you Gimp is already installed. Well, that’s because Gimp is not called Gimp but the GNU Image Manipulation Program in the desktop file. Now you know why Gimp is called Gimp. Then log out, or reboot.